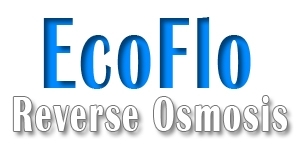 Eco Flo 3 Stage 100 GPD Compact Reverse Osmosis Water Filter System. The Shuttle With Planet Blue Inline Restrictor. Space age technology at an affordable price. Featuring green coconut carbon filter technology! Smart Simple design - easy to maintain with all internal quick connect fittings. 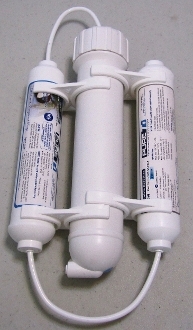 3 Stage RO compact system (weighs only 2.75 lbs. Quick connect change 10" filters.